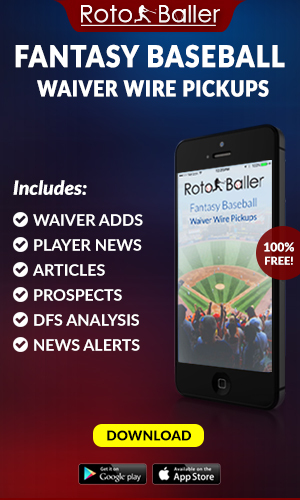 Here at RotoBaller, we are aware that many of you have embraced the MFL10 format with overwhelming passion. As a result, we have dedicated our efforts toward ensuring that you have abundant resources to boost your chances for success. 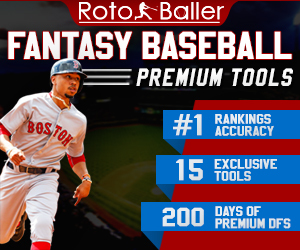 Our Best-Ball rankings are included with the extensive ranking options that are available regardless of what formats you are participating in. 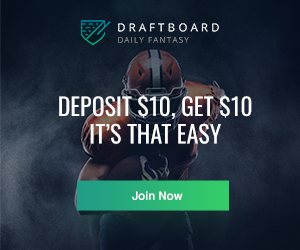 You can also find a large number of articles that have been designed to help you formulate a plan before proceeding through your upcoming MFL10 drafts. As owners, we always embrace the launch of our next draft, and the process of determining which players will form the foundation of our rosters. But deciding which performers to select with those early round picks will automatically force us to bypass other options that could be highly productive for our teams. Fortunately, some players that will be available starting in Round 7 can produce similar numbers due to their favorable combination of opportunity and ability. 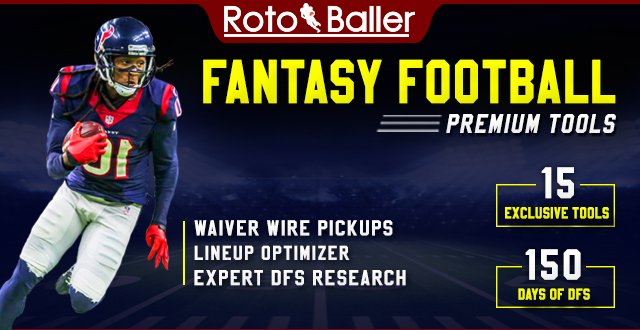 Knowing which players fit this description will be valuable as you make those initial decisions, while also providing a blueprint toward targeting the alternative options that can provide comparable results as your draft progresses through the middle rounds. I have pinpointed a select group of players whose current ADPs in Best-Ball drafts currently have them positioned in the seventh round or beyond, even though their production could match the numbers that will be generated by others who are being selected between rounds 3-5. Here is a breakdown of these preferred options that you can target beginning in Round 7 of your Best-Ball drafts. To be clear, I have been a huge proponent of Watson, and there is no criticism associated with this comparison. 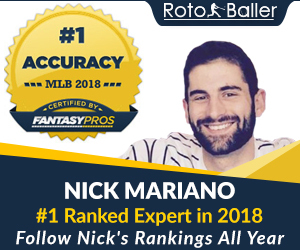 I snatched him from the waiver wire in several redraft leagues last September and worked diligently with my co-owner for weeks to acquire him via trade in a Dynasty League. However, I have not been drafting Watson at his current ADP in Best-Ball leagues despite his impressive 24.7 point-per-game average during an all-too-brief rookie season (1,968 total yards/21 touchdowns). Because exercising a modicum of patience will enable you to address other positions until you select Cam Newton or Brees several rounds later. While Newton is being chosen late in Round 6 despite his exceptional track record in fantasy scoring, Brees' current ADP leaves him available in the middle of Round 7. It would seem unnecessary to recite the seemingly endless accomplishments by this 11-time Pro-Bowler. But his diminished touchdown total (23) has been well-chronicled while creating hesitation in some owners to secure this proven point producer for their rosters. However, his overall production still kept Brees safely secured as last year's QB9, and the 4,334 yards that he accumulated placed him fourth overall - trailing only Tom Brady, Philip Rivers and Matthew Stafford. Brees should accrue 4,300+ yards for a 13th consecutive season, and his passing attempts appear primed to rise as the result of an arduous schedule (Eagles/Vikings/Rams/Steelers /Panthers and Falcons twice). That should help his touchdown total approach the 33 that he has averaged since 2004, and will embed Brees among the mid- QB1s this season. Freeman was selected in the third round by Denver (71st), after averaging 1,559 yards and 17 touchdowns on the ground during the three collegiate seasons that he played in 12+ games. That includes his stellar sophomore season (2015), when he bolted for 1,836 yards, which trailed only Derrick Henry, Christian McCaffrey, and Leonard Fournette, and was 15 more than Ezekiel Elliott. The 6'0"-230-pound newcomer has been placed in an appealing position for owners, as the recipient of an enormous opportunity to seize the Broncos' RB1 role. C. J. Anderson was allotted the ninth most carries last season (245), and that mammoth workload is now available to Freeman as he competes with Devontae Booker and De'Angelo Henderson for snaps. Booker has been disregarded by many owners during the draft process (ADP 126/10.06), even though he could secure a role as Denver’s primary pass-catching back. But that does not diminish Freeman’s capabilities of operating as the Bronco's lead runner, while also procuring carries near the goal line. His path to a substantial workload is far more accessible than Hyde’s, after the four-year veteran has been relegated to laboring within Cleveland's quagmire of a backfield. His 783 snaps were the third most among all backs last season and his 240 attempts were surpassed by just 10 other runners. But his workload will be vastly different this season, as touches will also be dispensed to Nick Chubb and Duke Johnson during an unappealing committee situation that will create frustration for owners. Hyde’s current fifth-round ADP is particularly surprising, as Cleveland invested a second-round pick on Chubb, and Johnson played 535 snaps last year. 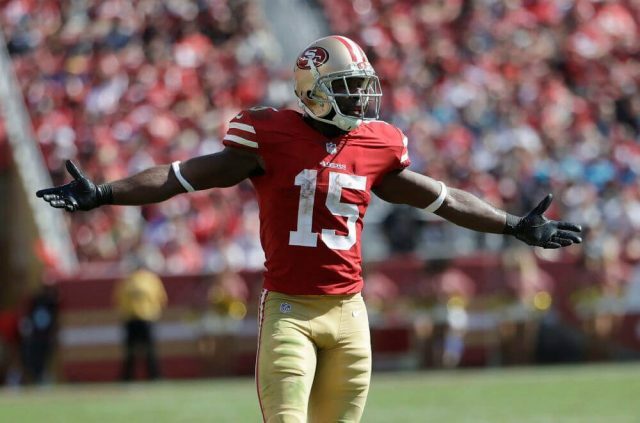 Freeman’s outlook is significantly more favorable, and owners should sidestep Hyde until much later in their drafts. Many of you have accumulated enough seasons of fantasy football ownership to experience the oscillating merits of entrusting a runner in Bill Belichick's backfields. At times, you have been given sufficient rationale to disengage from the risk that existed with the Patriots' fluctuating touch distribution, after being scorched while depending on a back that suddenly was reduced to spectator status. However, this year's combination of Sony Michel and Burkhead have more discernible roles than many runners that will operate in other environments. Burkhead is being selected after 32 other backs, even though he just signed a three-year contract and should function with similar responsibilities to last season. He generated six touchdowns and captured double-digit touches in five of six contests from Weeks 8-14, although that sequence was sandwiched between rib and knee injuries. However, health issues have been more problematic with Burkhead's former teammate Lewis, who entered 2017 with career totals of 688 yards and four touchdowns on the ground. But his fantasy stock rose dramatically after rushing for 896 yards and six touchdowns while performing in 16 games for the time in his career. It was also the first time that the 5' 8" Lewis had played in more than nine contests since 2011, as the result of several significant injuries. He would have elevated into this year’s high-end RB2 options if his situation had remained favorable. Instead, his breakout season compelled Tennessee to present him with a four-year contract, and Lewis will be splitting touches with Derrick Henry - which will compress the statistical ceiling for both backs. Both Lewis and Burkhead should garner consistent targets as receivers, and Burkhead can easily capture more red zone touches. As a result, their production could be comparable, even though Burkhead is available several rounds later in your drafts. In his first three professional seasons, Cooper has performed in 46 contests, and his overall numbers initially appear to contain respectable results (358 targets/203 receptions/2,903 yards/18 touchdowns). Yet, he has only finished as a top 20 receiver once, while being confronted by various injuries, competing with Michael Crabtree for targets, and blending stretches of disheartening production with glimpses of eye-catching proficiency that delivered the prospects of future greatness on a more consistent basis. However, we still await the fulfillment of such promise for this fourth overall pick of the 2015 draft, and the uncertainty surrounding Cooper’s chances of delivering on his lofty pedigree is matched by the ambiguity that currently exists regarding what will ensue when Jon Gruden's reshaped Raiders line up in September. That stands in contrast to the reliability that Sanders has routinely supplied prior to last season’s injury-induced statistical decline, as Sanders had accrued 3,571 yards during his three previous seasons, while receiving a whopping 414 targets, amassing 256 receptions, and collecting 20 touchdowns during that span. 48 of his catches also generated at least 20 yards, but last year’s ongoing ankle issue contributed to a sizable regression in each of those categories (47 receptions/555 yards/2 touchdowns). However, the two-time Pro Bowler is now healthy, and his previous level of production should resurface. Not only will he be operating in tandem with Demaryius Thomas as Denver’s most targeted receiving weapons, but Sanders will also benefit from having Case Keenum operating as Denver’s quarterback. This represents a significant upgrade after being subjected to the shortcomings of Trevor Siemian, Brock Osweiler. and a splash of Paxton Lynch since Peyton Manning’s retirement. There is an adequate rationale for trusting him with your eighth-round pick, after you have chosen a more reliable option than Cooper at his current ADP. Landry averaged 153 targets in his last three seasons as a Dolphin, while finishing among the top four in that category twice during that span. He also averaged 1,093 yards and 105 receptions, while sustaining a preeminent slot presence for Miami. However, his trade to Cleveland has drastically altered his environment, and the boundless volume of targets that has bolstered Landry’s production will cease. It would require considerable involvement on a weekly basis for Landry to attain 100 targets while functioning in his new offense, and he would also need to run a reasonable percentage of routes that exceed last year’s 8.8 YPC – which was just 109th among all receivers - in order to avoid a notable decline in yardage. Duke Johnson was the only Brown to exceed 60 targets in 2017, and an expanded assortment of weapons that includes Josh Gordon, David Njoku, and the team’s overcrowded backfield will negatively impact Landry’s involvement with enough frequency to suppress both his opportunities and overall production. However, Garcon will not be confronted by a similar target decline when he reemerges as the WR1 in Kyle Shanahan’s offense. He was on pace for 80 catches and 1000 yards before a neck injury abruptly ended his season in Week 8. He had played in 16 games for four consecutive years prior to that issue while averaging 83 receptions and 979 yards. His best numbers were attained in 2013 while operating within Shanahan’s schematic approach in Washington, when he garnered a league-high 184 targets, while amassing 1,346 yards. He also produced 1,041 yards in 2016, and the fact that he was progressing toward similar output last season should compel owners to target him in Round 8. He could match or exceed Landry's reception and yardage totals without requiring a significant investment. You already know that Rob Gronkowski, Travis Kelce, and Zach Ertz were last season's top three tight ends in fantasy scoring, and are projected to outperform their counterparts once again. But for the many owners who will avoid drafting a tight end near the inset of their drafts, Walker provides a logical target in Round 7. He finished as 2017's TE4 by slightly eclipsing the output of both Evan Engram and Graham, and that scenario could easily occur once again. Walker was targeted 100+ times for the fourth consecutive year (111), which helped continue his streak of 800+ yards every year since 2014. His 74 receptions tied him for third among all tight ends, and he is a candidate to improve upon last year's touchdown total (3) while thriving in what should be a reinvigorated Tennessee offense. That could enable him to surpass the output of Graham, who is being selected two rounds earlier. Graham did garner the most touchdowns and red zone targets at his position last season (10/29), which provides the appeal for many to draft him. But he only surpassed 34 yards once between Weeks 10-16, and his overall yardage total was the lowest since 2010 (520). It also placed him behind 15 other tight ends including Jared Cook, Austin Hooper, Eric Ebron, Vernon Davis, and Ben Watson. Owners will be overly dependent on Graham for touchdowns, which should motivate you to target Walker after you have addressed other positions during the first six rounds.